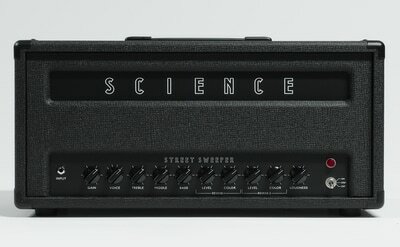 The Street Sweeper MkII’s highly sculptable loud & clean sound makes it the perfect platform for effects pedals. And thanks to the new attenuator-like Loudness control, the Street Sweeper transitions smoothly into classic and dynamic power-amp overdrive that can be obtained at any volume level. Couple this with the unique foot-switchable 4-knob dual reverb section, and the Street Sweeper is the high powered reverb junkie's dream. The 4-way rotary Voice switch lets you alter the amp’s overall voicing, gain structure, and shifts the frequency response of the 3-band EQ. Position 1 (most counter-clockwise) provides classic balanced American clean tones with open mids and round lows and maximum headroom; Position 2 adds treble brilliance to the voicing of Position 1, great for hotter and darker pickups; Position 3 adds gain and low-mid emphasis, great for thickening vintage style single coils; and Position 4 adds more gain and both lower and upper midrange for a British-voiced tone with more drive. The signature dual-reverb section gives unparalleled flexibility in true tube-driven spring reverb. Each reverb section has a dedicated "Level" and "Color" controls, allowing you to perfectly shape the two independent reverbs. The Level controls set the amount of overall reverb, adding subtle dimension, completely drenching the signal in lush reverb, and even driving the tank into distortion (similar to vintage stand-alone units). Each Color control varies the reverb tone from dark and cavernous to bright and present, but never harsh. The Street Sweeper's reverb can be remotely controlled by its two-button footswitch, allowing you to switch between two independent reverb settings, or bypass for a dry, unaffected tone. No need for extra digital pedals to fake another true spring reverb sound. 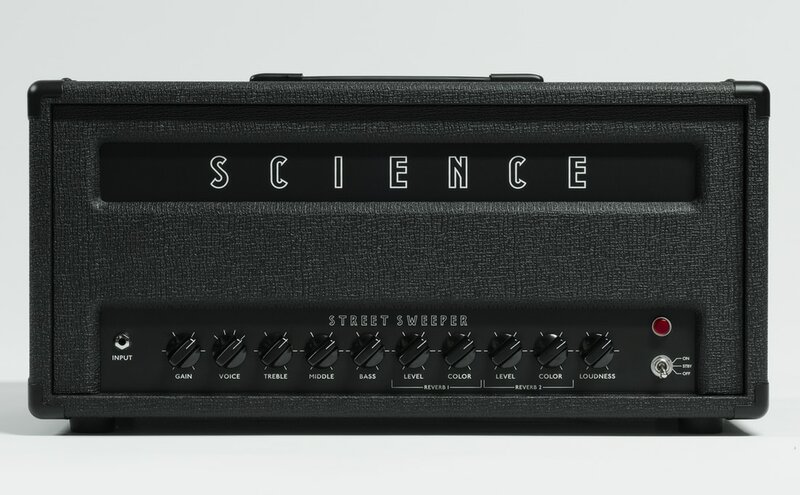 The Street Sweeper MkII's unique attenuator-like Loudness control allows you to dial in cranked power-amp crunch at any volume, and is bypassed while fully clockwise, providing maximum headroom and non-master volume type operation. Like all our amps, the Street Sweeper MkII is available in 50W, 100W, or 200W, and can be fitted with our new ultra-transparent series Ghost effects loop*. *Note: Because of Street Sweeper's unique attenuative Loudness control, it is not the best candidate for the Ghost Loop. Time-based effects (delay, chorus, etc.) will have the same clarity run into the front end of the amp. If you desire a preamp-out or power-amp in, or would like to insert an EQ pedal in the loop, adding the Ghost Loop to the Street Sweeper may still be useful to you! For even more info, check out the user manual here. X-pattern. Each speaker is mic'd on axis, just off the dust cap with a Shure SM-57. Overdriven samples are double-tracked and panned. V30 is panned left and G12H-150 panned right on all samples. No post-processing. Click on the panel diagram below each sample to see the settings used. Headphones recommended for detailed listening. Enjoy!